The role of the priesthood in Judaism has significantly diminished since the destruction of the Second Temple in 70 AD, when priests attended to the Temple and sacrifices. The priesthood is an inherited position, and although priests no longer have any but ceremonial duties, they are still honored in many Jewish communities. Many Orthodox Jewish communities believe that they will be needed again for a future Third Temple, and need to remain in readiness for future duty. Kohen (priest) - patrilineal descendant of Aaron, brother of Moses. In the Temple, the kohanim were charged with performing the sacrifices. Today, a Kohen is the first one called up at the reading of the Torah, performs the Priestly Blessing, as well as complying with other unique laws and ceremonies, including the ceremony of redemption of the first-born. Levi (Levite) - Patrilineal descendant of Levi the son of Jacob. In the Temple in Jerusalem, the levites sang Psalms, performed construction, maintenance, janitorial and guard duties, assisted the priests, and sometimes interpreted the law and Temple ritual to the public. Today, a Levite is called up second to the reading of the Torah. From the time of the Mishnah and Talmud to the present, Judaism has required specialists, or authorities, for the practice of very few rituals or ceremonies. A Jew can fulfill most requirements for prayer by himself. Some activities-reading the Torah and haftarah (a supplementary portion from the Prophets, or Writings), the prayer for mourners, the blessings for bridegroom and bride, the complete grace after meals-require a minyan, the presence of ten adults (Orthodox Jews and some Conservative Jews require ten adult men; some Conservative Jews and Reform Jews include women in the minyan). 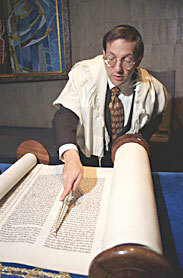 Rabbi of a congregation - Jewish scholar who is charged with answering the legal questions of a congregation. This role requires ordination by the congregation's preferred authority (i.e. from a respected Orthodox rabbi, or if the congregation is either Conservative or Reform, from academic seminaries). A congregation does not necessarily require a rabbi. Some congregations have a rabbi, but also allow members of the congregation to act as shatz, or baal kriyah (see below). Hassidic Rebbe - rabbi who is the head of a Hasidic dynasty. Hazzan (note: the "h" denotes voiceless pharyngeal fricative) (cantor) - a trained vocalist who acts as shatz. Chosen for a good voice, knowledge of traditional tunes, understanding of the meaning of the prayers and sincerity in reciting them. A congregation does not need to have a dedicated hazzan. Shaliach tzibur or Shatz (leader-literally "agent" or "representative"-of the congregation) leads those assembled in prayer, and sometimes prays on behalf of the community. When a shatz recites a prayer on behalf of the congregation, he is not acting as an intermediary; rather, he is acting as a facilitator. The entire congregation participates in the recital of such prayers by saying amen at their conclusion; it is with this act that the shatz's prayer becomes the prayer of the congregation. Any adult capable of reciting the prayers clearly may act as shatz. In Orthodox congregations and some Conservative congregations, only men can be prayer leaders, but the Conservative and Reform movements now allow women to serve in this function. The Baal kriyah or baal koreh (master of the reading) reads the weekly Torah portion. The requirements for being the baal kriyah are the same as those for the shatz. These roles are not mutually exclusive. The same person is often qualified to fill more than one role, and often does. Often there are several people capable of filling these roles and different services (or parts of services) will be led by each. The three preceding positions are usually voluntary and considered an honor. Since the Enlightenment large synagogues have often adopted the practice of hiring rabbis and hazzans to act as shatz and baal kriyah, and this is still typically the case in many Conservative and Reform congregations. However, in most Orthodox synagogues these positions are filled by laypeople on a rotating, or ad-hoc, basis. Although most congregations hire one or more Rabbis, the use of a professional hazzan is generally declining in American congregations, and the use of professionals for other offices is rarer still. Dayan (judge) - An ordained rabbi with special legal training who belongs to a beth din (rabbinical court). In Israel, religious courts handle marriage and divorce cases, conversion, and financial disputes in the Jewish community. Mohel - Ritual circumciser who performs the brit milah (circumcision). An expert in the laws of circumcision who has received training from a qualified mohel. Shochet (ritual slaughterer) - In order for meat to be kosher, it must be slaughtered by a shochet who is an expert in the laws of kashrut, and has been trained by another shochet. Sofer (scribe) - Torah scrolls, tefillin (phylacteries), mezuzot (scrolls put on doorposts), and gittin (bills of divorce) must be written by a sofer who is an expert in Hebrew calligraphy. That person has undergone rigorous training in the laws of writing sacred texts. Rosh Yeshiva - A Torah scholar who runs a yeshiva. Mashgiach of a Yeshiva - Supervises the emotional and spiritual welfare of students in a yeshiva, and gives lectures on mussar (Jewish ethics). Mashgiach - Supervises manufacturers of kosher food, importers, caterers, and restaurants to ensure that the food is kosher. Must be an expert in the laws of kashrut and trained by a rabbi, if not a rabbi himself. 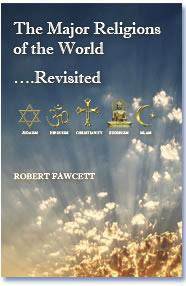 If you would like to keep in touch with the news on the major religions, sign-up for our newsletter.